The start of college football is now upon us. With games starting to kick off on Thursday, and most others starting on Saturday, many fans are excited for the first full week of college football. As games are now approaching, ticket demand is also starting to increase as many are finally preparing to attend games. With the first week of games, also comes the first update of the TicketIQ Top 25. While there was no change in the top two spots, no other school stayed in the same spot from the preseason list. There are four schools that are now in the Top 25 that did not hold a spot during the preseason, which also means there are four schools that dropped out. Georgia Tech was surprisingly the biggest gainer of the bunch, jumping 31 spots from the preseason rankings. The Yellow Jackets now rank 12th, with tremendous help from home matchups against Florida State and Georgia. Georgia Tech tickets have an average price of $158.12 across home games at Bobby Dodd Stadium and a October 24 matchup against the Seminoles is the most expensive with an average price of $224.94 and a get-in price of $108. 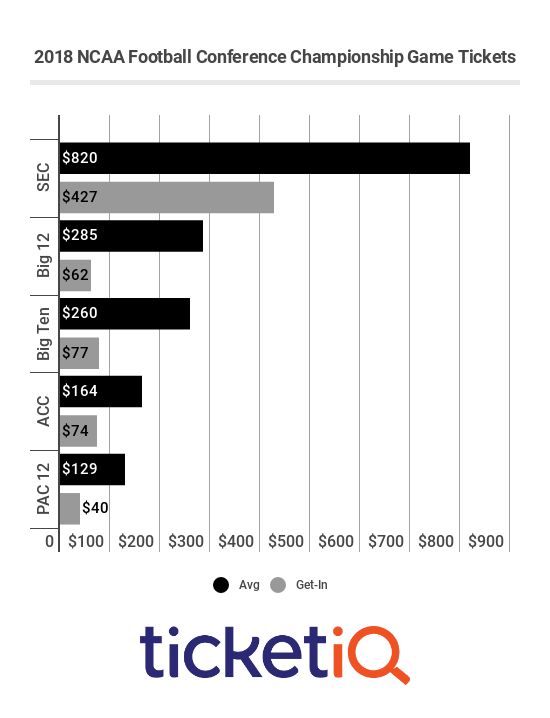 Clean, Old Fashion Hate, the rivalry between Georgia Tech and Georgia, on November 28 has an average price of $214.17 and a get-in price of $101. Of the three other schools to jump into the Top 25, none rank higher than No. 19. The 19th ranked schools is currently USC, which was just outside the Top 25 at No. 27 in the preseason. The current average price for USC football tickets is $127.42. The other two schools that just made the cut are, Arkansas at No. 23 and TCU at No. 25. The Razorbacks jumped three spots from No. 26 as Arkansas football tickets have an average price of $121.82. TCU also jumped three spots to the last of the list with an average price of $117.48. Among the schools that dropped from the preseason list were Mississippi State (20), Florida (21) UCLA (23), and Utah (24).